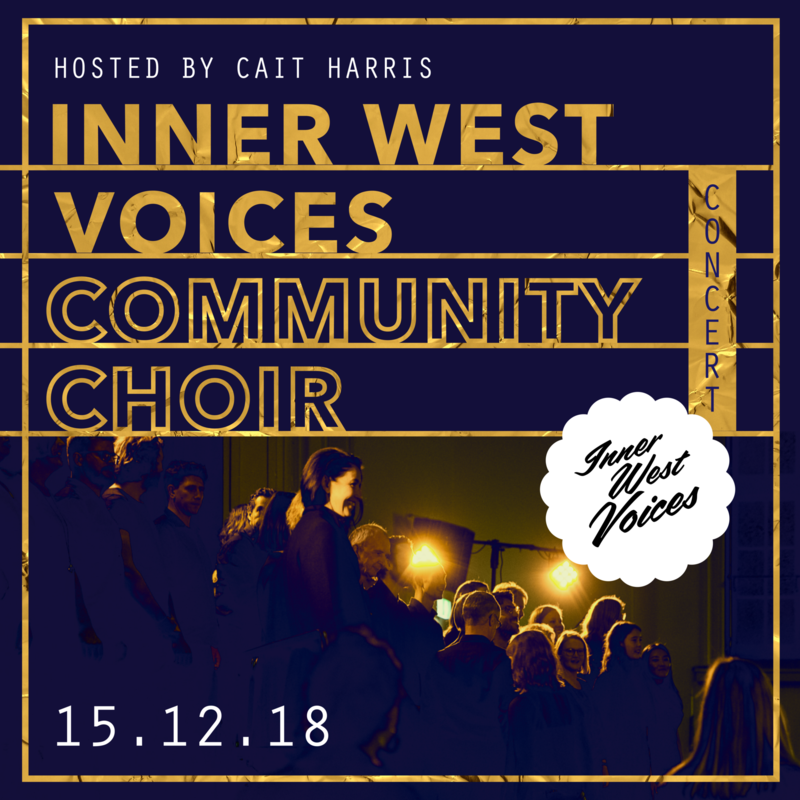 Inner West Voices’ annual end of year concert is happening once again! If you have the Yuletide spirit, or merely an eagerness to say goodbye to 2018, come join us and get your non-cynical fix of community choir goodness. We are once again delighted to be singing in the beautiful Marrickville Town Hall, this time with comedian and writer Cait Harris (Story Club) as our host. Come along for some stunning songs of all kinds and, of course, a little Christmas cheer. Inner West Voices is a registered non-profit organisation. Ticket prices go straight back into the choir’s activities, such as printing sheet music, renting rehearsal spaces and commissioning new works.